14mm black 3-D Scotties sit on 20mm vintage acrylic millefiori style saucer beads accented with onyx. The total length from the bottom of the sterling silver leverback is 1-1/2” (38mm). 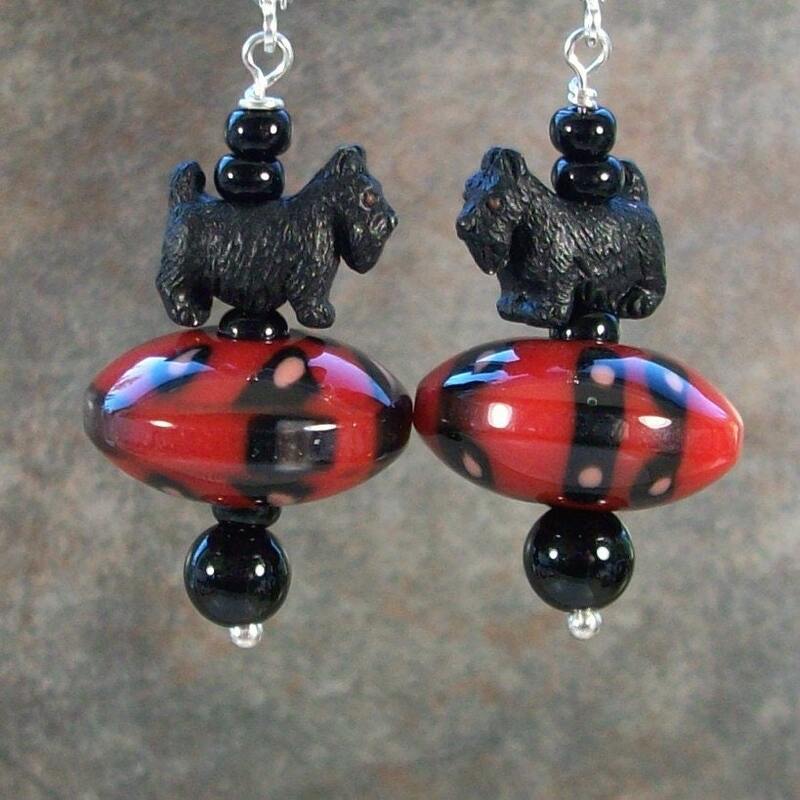 These vintage beads are lipstick red with black and yellow “flowers” poured through similar to the millefiori lampwork style...lightweight and comfortable.